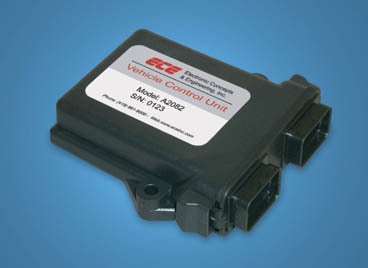 The multi-purpose VCU is a prototype level electronic controller for vehicle applications. ECE can modify the baseline VCU hardware design and write customized software for customer specific applications. The VCU has Twelve (12) Analog, Thirteen (13) Digital, and four (4) Frequency inputs as well as five (5) 12 VDC 0.5A, four (4) 12 VDC 3A, four (4) 12 VDC 3A PWM Outputs, and CAN and RS-232 interfaces. 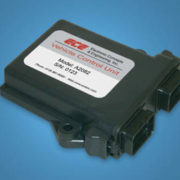 It is a lightweight, compact controller that is ideal for many prototype vehicle applications.